I had been working on restoring my dad’s 1965 Mustang for about 4 years at three different DFW shops before finding North Texas Customs. I wish had found them sooner. The owner and I spoke at length and he came to my home to take a look at the car before we ever towed it to the shop and was open and understanding to my ideas for the finished project and my budget. The car spent a little over three years at the shop and I built a relationship with the owner and employees. There was an obvious understanding of what the car meant to me and my family and Tyler and the guys helped breath life back into this heirloom. We did a full restoration from the rolling frame to turning the key and driving the car home. Improvements included power steering, disc brakes, a/c, and shaved door handles. The finished project looked better than it would have rolling off the assembly line. Door and body gaps are even and clean, the paint has a mirror finish, and the car flat out RUNS! I was not looking for a sow car to sit in my garage, but rather a beautifully finished daily driver I can rely on. Tyler was great in helping locate parts and suggesting alternatives to ensure I was getting the most bang for my buck. There was no up-selling and he helped me work out a payment plan to ensure work progressed while I was getting funds together to make my dream a reality. 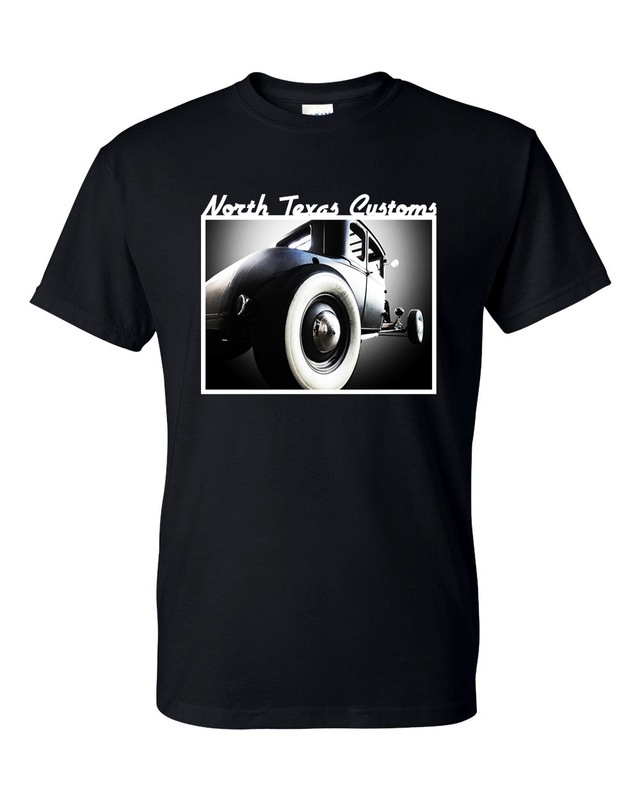 I owe a great debt of gratitude to Tyler and the guys at North Texas Customs for the work they did for me. If you’re looking for another reason to have these guys fix up your ride, look for my burgundy ’65 Mustang cruising around town and searching for awards at the local Murphy car show. I picked up a Best in ’60’s Award three months after picking up the car. This is a quality oriented group of professionals. North Texas Customs did a complete frame off restoration for my 67 Camaro. I was more than pleased with their dedication to proper restoration techniques and knowledge of the characteristics associated with my car. I very highly recommend them to anyone who has a serious commitment to having their restoration done properly and expertly. I have North Texas Customs doing complete custom wiring and plumbing on a 67 GT500 of mine right now. I’ve been impressed with the quality of the product they are turning out there. Shop seems busy but, the good ones always do.